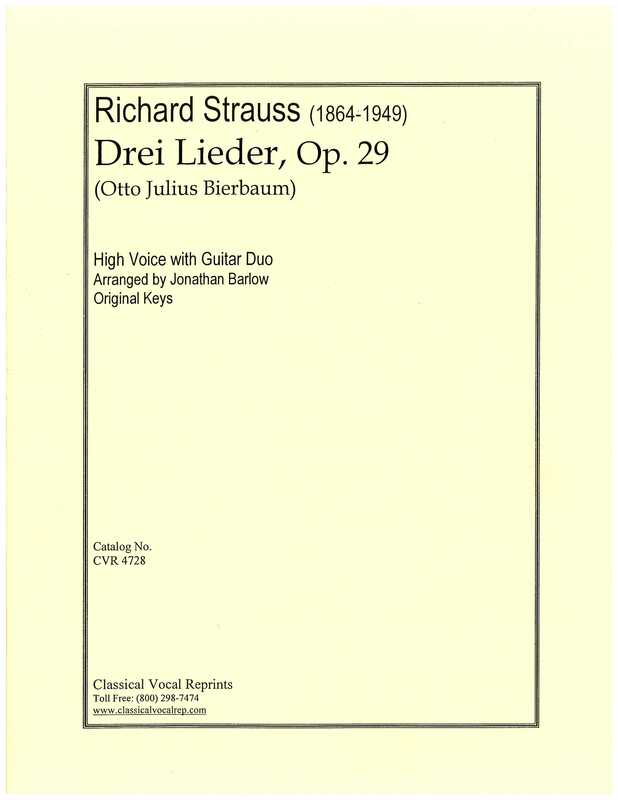 Music lovers tend to overlook Strauss’s Lieder; they can be eclipsed by his popular tone poems and operas. Singers are passionate about Strauss’s songs because they provide such wonderful vocal opportunities, and because they demonstrate such sensitivity to their poetic texts. Drei Lieder, Op. 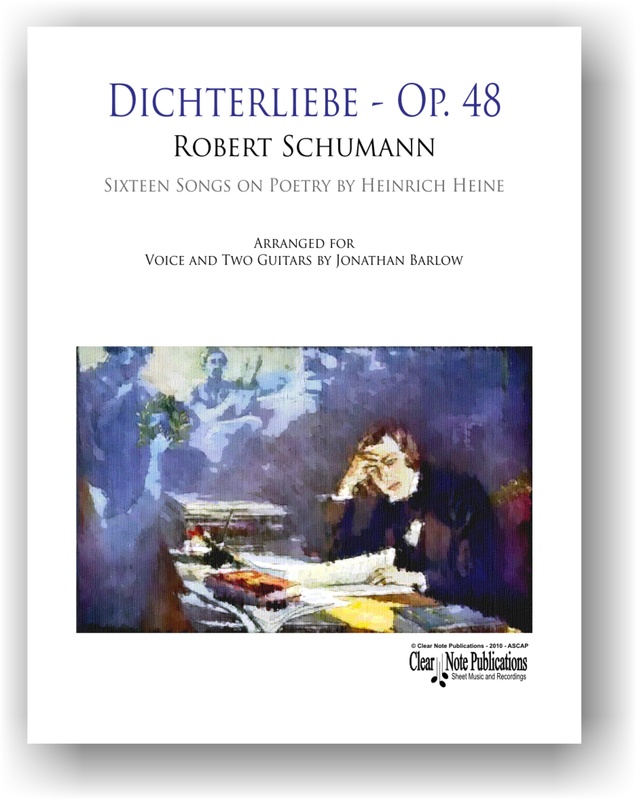 29 is a charming work set to poetry by Otto Julius Bierbaum (1865-1910), a contemporary of Strauss who was the editor of a progressive journal devoted to art and literature. 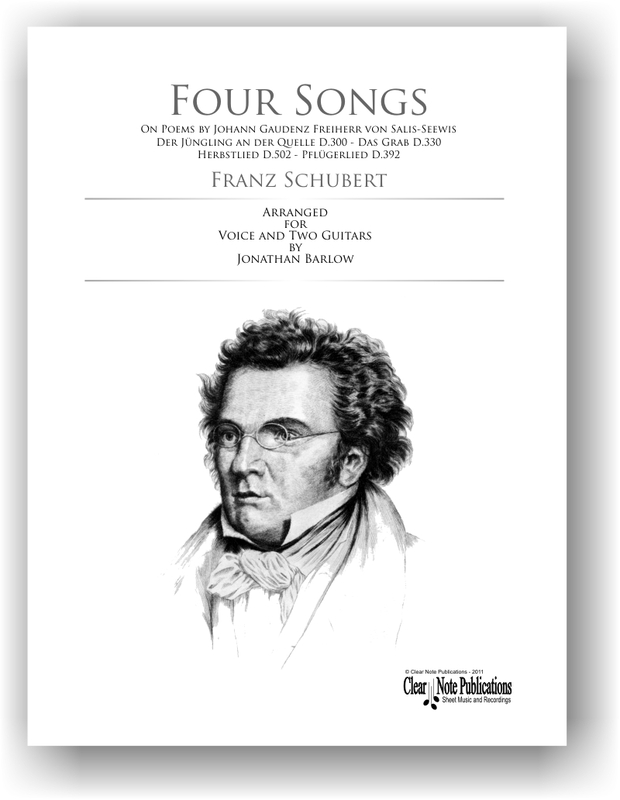 Other Sheet Music in "Voice + Guitar Duet"